Adjustable length from 27" to 50"
The Alvin Friction-Lock Telescoping Tube is a functional storage tool with its inside diameter of three inches. 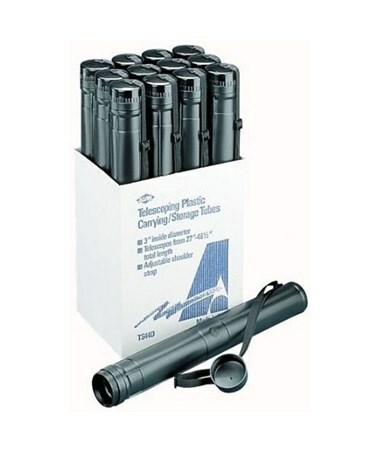 An ideal tool for storing and transporting large documents such as maps, plans, drawings, poster, and many others, it is equipped with friction-lock adjustment that allows length ranging from 27 inches up to 50 inches. This is to accommodate a variety of file sizes. 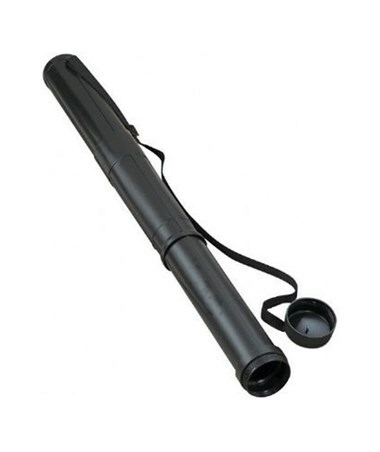 This telescoping tube ensures durability and long-lasting performance. 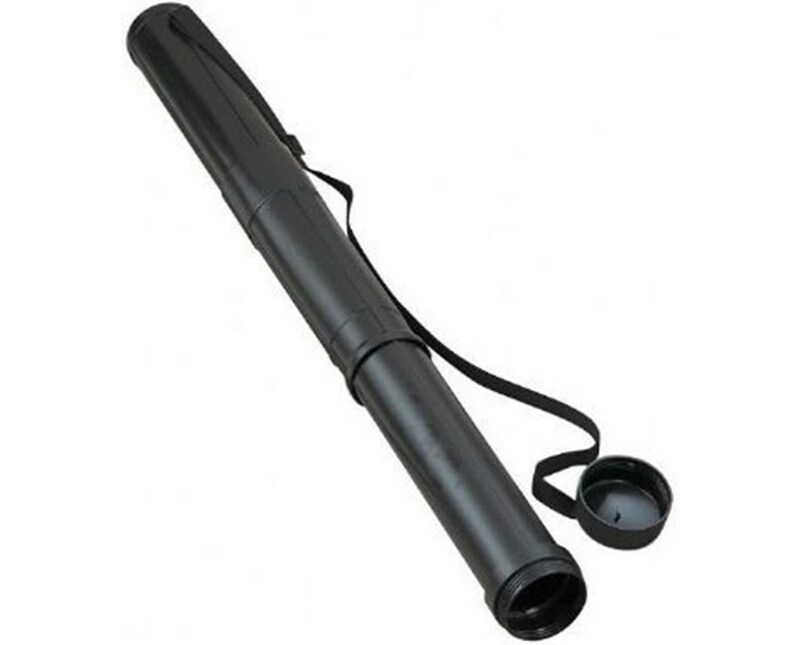 It is made of black rugged plastic material that keeps its contents safe and secure. For maximum protection, it is water-resistant. It comes with a twist-off screw cap and a removable, adjustable shoulder strap for total portability, convenient handling, and easy storage. The Alvin Friction-Lock Telescoping Tube offers two quantity options to suit different storage and transport needs. It is available individually or in a 14½"W x 27½"H x 11"L display. Each display contains 12 telescoping tubes. 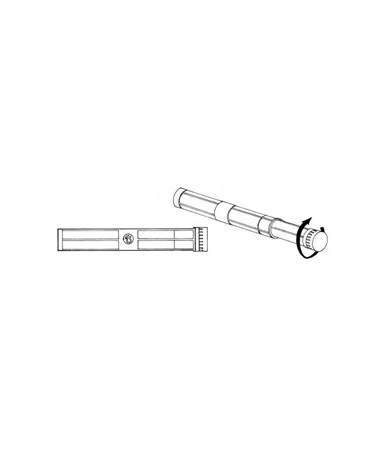 The Alvin Friction-Lock Telescoping Tube comes in two quantity options. Please select your preference from the drop-down menu above.